Editor’s Note: Doug Casey is a legendary contrarian. He’s made millions speculating in beat-up markets. Some of those opportunities have passed. But, as Doug says, new crisis markets are constantly being born. Nick Giambruno: Hi, Doug. Let’s talk about the potential for large returns in crisis markets. Doug Casey: Well, the original Baron Rothschild said, “Buy when blood is running in the streets.” Since I’m a contrarian by nature, I agree. I like to go where other people don’t go. That’s where you get the bargains. Everybody knows the old expression “buy low, sell high.” Well, when are the prices absolutely the lowest? When everybody else is afraid of the situation and, as Rothschild said, “blood is running in the streets.” That’s often during a war or a revolution. Risk is mostly a function of price. 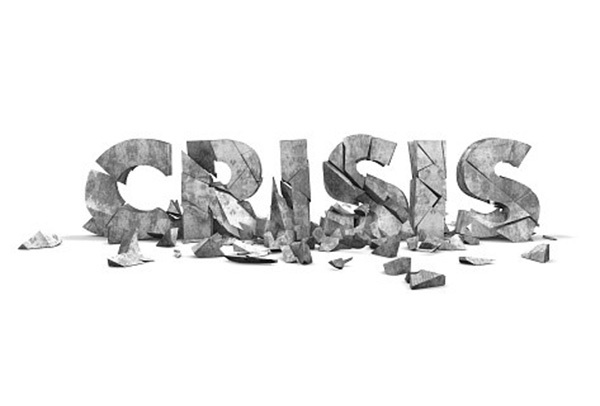 So, investing in crisis markets can actually be less risky—not more risky. Everything else being equal, when prices are low, it’s less risky. Most people think the opposite—they only buy when there’s “a good track record.” Which means prices are high. So, you can expect me to be looking for these situations in the future. Cure Cancer, Cure Alzheimer’s, Cure Parkinson’s, & Unlock the Code to Life Wrapped Up Inside DNA? Hidden inside 5 billion-year-old bacteria, scientists have discovered the key to unlocking the secrets of DNA. This could end genetic disease, save the global food supply, and grant us energy independence. Only three companies hold all the key patents. Click here to learn more. Everywhere in the world, at almost any time, there is a ridiculous bubble bull market going on and, in some other place, there’s a devastating bottom-of-the-barrel bear market. Thirty years ago, a friend of mine bought a gigantic ranch in Argentina during one of their crises for $250,000. He’s asking $25 million for it today—$250,000 to $25 million—100 times your initial investment. That’s a good hit. Crisis investing can be done in stocks, real estate, currencies, commodities—in so many things. If you look at all these things, you can pick and choose what suits your investment style. These kinds of opportunities are available all over the world, but most people are completely unaware of their existence. Nick Giambruno: Let’s talk about some of the times you’ve made investments when blood was literally flowing in the streets, like in Spain in the 1980s. What were the conditions then, and what kind of investment did you make? Doug Casey: Well, Spanish general Francisco Franco hadn’t died so long ago. Spain was not yet part of the European Community and it was a very depressed economy. I went to the best place in Andalucía (Southern Spain). As a general rule, with tangibles, you want to buy only the best. I don’t care whether it’s stamps, coins, cars, or real estate. That’s always been said to be a good rule, and I believe it is a good rule. People with money and taste want the best, not the mediocre. So, I went to Marbella, the best town on the Costa del Sol in Andalucía, and bought an apartment there. My reasoning was that, once Spain joined the European Community, it would become a favorite vacation spot for Northern Europeans. 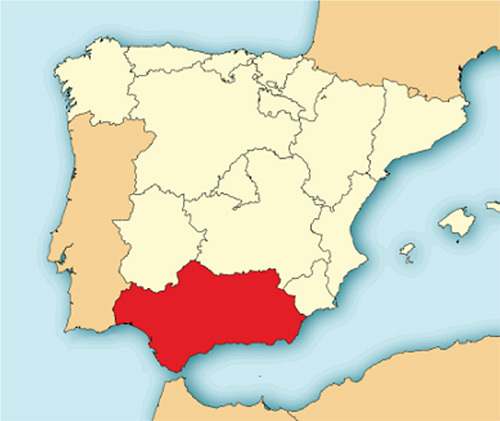 That’s because Andalucía is the most southern place in Europe. It’s further south than Sicily, for instance. A lot of people don’t know that. I bought into what was the best apartment complex I could find. I chose a three-story penthouse. I got in at a good price and sold it a few years later, when the boom took place. It was a triple. That’s not bad for real estate in a cash market—there wasn’t much mortgage money there in those days. Because of the investment returns, I was effectively paid for living in Spain. If you have some flexibility about where you can live, and decent judgement, you can do that. Instead of paying money to live in a nice place, I was effectively paid for my presence. It’s still possible in the right markets. He picked the #1 stock on the S&P 500 11 months in advance. Now he says this will be the #1 tech play of 2018… and Silicon Valley is already investing millions in it… Click here for the full story. Nick Giambruno: What about the time you invested in Hong Kong during the China crisis of 1986? Doug Casey: That worked out very well. At that time, everybody was terrified that the Chinese were going to take over Hong Kong. I was able to buy in a building right above the Royal Hong Kong Yacht Club. A fantastic view of the harbor, one of the best, on the top floor. People told me at that time that my top-floor apartment was selling for less than a ground-floor apartment, which would be horrible to live in, with no view and all the street noise. It was so cheap because they were convinced that you would have to walk up 13 stories since, once the Chinese took over Hong Kong, they wouldn’t fix the elevators. I bought that top-floor apartment for something like $40,000. That’s how cheap Hong Kong was then. It cost me another $40,000 to gut and refurnish it and make it very nice. I lived there for years. But when I wasn’t there, I would rent it out to foreign businessmen. So, I later sold that place for $1.2 million—$80,000 to $1.2 million. That’s a tremendous return on capital. It was a perfect example of crisis investing, buying when people were genuinely uninterested in Hong Kong. It was actually the best time to be in Hong Kong because it was so cheap. Today, I wouldn’t touch real estate in Hong Kong; that game’s over. These things come and they go.